Spar: Carbon 2-spreader swept spreader rig; Carbon boom and pole. The Hull is laminated of FRP reinforced skins (pre-impregnated carbon fibre) over CoreCell foam cores. The deck is a similar laminate of FRP skins over CoreCell, with additional laminate in way of all deck hardware. Epoxy resins are used throughout. 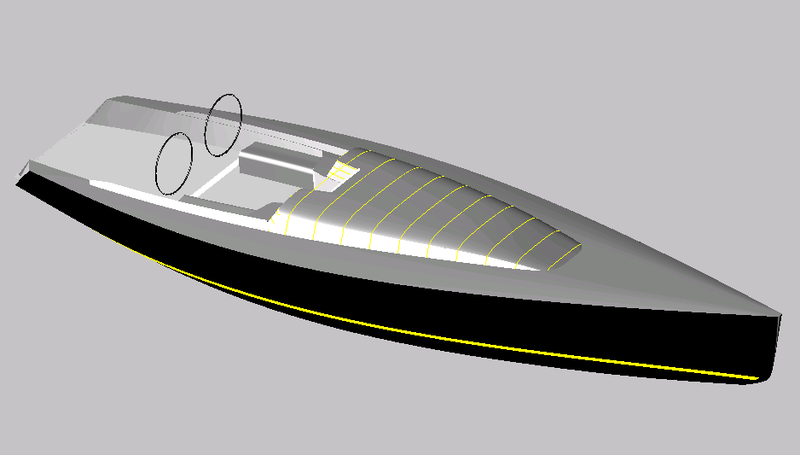 Both hull and deck are locally reinforced with unidirectional carbon to minimize the longitudinal deflections resulting from the headstay, backstay and mast compression loadings. Methodical weight control is a high priority, and all moldings and components are carefully weighed before assembly. 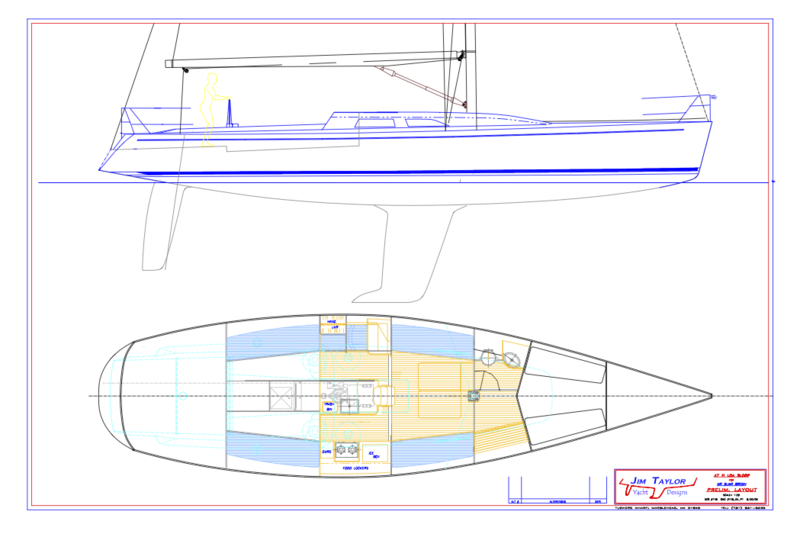 Targeted to rate approximately 1.215 IRC, (-12 PHRF), just faster than the Swan 45, so as to be reliably near the top of the second, and clear of the ‘big boat’ classes, (e.g. TP-52’s, etc). Optimized for racing in light to moderate air and smooth water New England, with an additional focus on comfortable and practical shorthanded day sailing in Buzzards Bay. This implies generally similar performance parameters to those of SFORZANDO; long sailing length, narrow beam, generous area foils, and high stability. A special emphasis will be given to very high quality acoustic engineering, with an eye towards keeping both the mechanical noise down and the sound system’s music uncompromised. Another special emphasis will be placed on aesthetics, both exterior and interior. 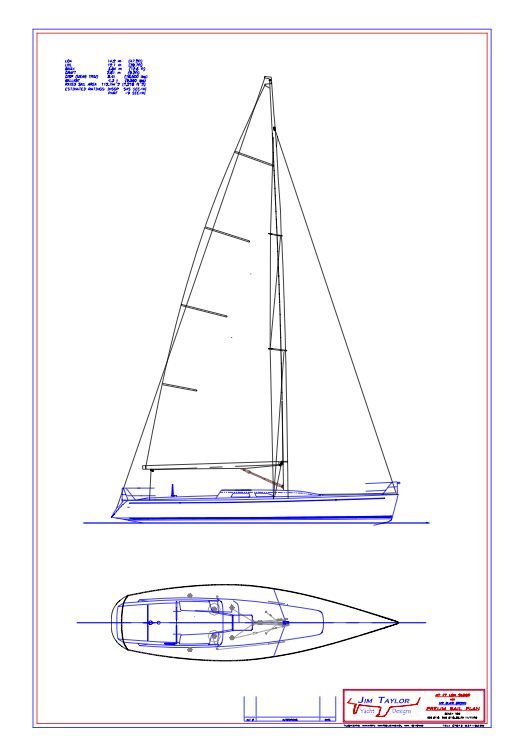 The interior will be simple and functional, elegantly finished “Herreshoff style,” with teak and holly sole and varnished cherry trim.